Expertly powering Cobra lawnmowers - The Cobra DG450 engine offers a quiet, yet powerful combination for a variety of demanding applications. It incorporates the latest engine design technologies ensuring optimal torque and efficiency. 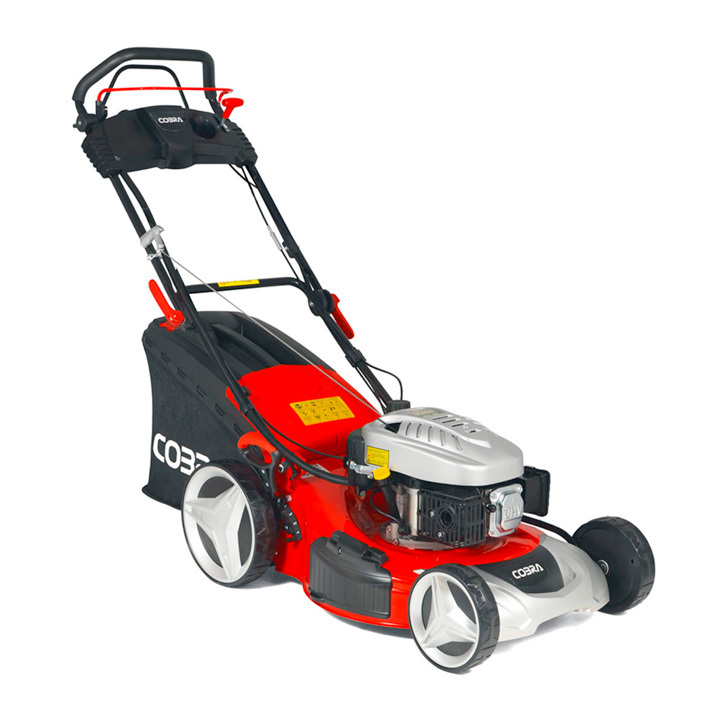 The DG450 powers Cobra lawnmowers for gardens up to 600 square metres. 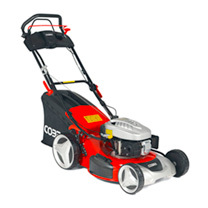 Key start lawnmower for even easier starting - As well as a standard recoil pull-start, there's an electric key start to make starting your Cobra MX46SPCE lawnmower even easier. Electric Start eliminates the neccessity of pulling the recoil rope. This can help reduce wear and tear on the engine. A charger is supplied to keep the battery ready for use. Side discharge your grass with Cobra - If you don't want to collect your grass cuttings or your lawn has become overgrown, the MX46SPCE comes equipped with a side discharge function. Simply lift the side blanking plate and insert the side discharge chute. The grass will now be discharged in neat lines to the side of where you are mowing. 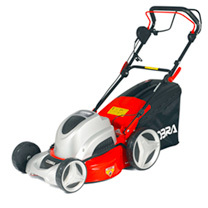 The greener way to cut your lawn - The MX46SPCE lawnmower from Cobra comes equipped with a mulch plug to enable you to mulch your grass clippings back into the lawn. Mulching lawnmowers recycle the grass by finely cutting and re-cutting the clippings. As the clippings decompose, nutrients and fertilisers are returned to the soil meaning you can cut the grass and fertilise at the same time. Single lever 7 stage height of cut adjustment - The Cobra MX46SPCE petrol lawnmower has 7 adjustable cutting heights ranging from 25mm for a superb low finish, up to 75mm for tackling longer grass. All this is achieved by simply using the single height of cut adjustment lever. Depending on the height of your grass, you can easily and efficiently adjust the cutting height to suit. Large capacity grass bag for increased collection - The Cobra MX46SPCE petrol lawnmower is equipped with a 60 litre fabric grass bag, ideal for collecting large amounts of grass clippings before the need for emptying. The grass bag on the Cobra MX46SPCE is made from a robust, high quality fabric. This fabric enables a strong free flow of air which means that grass collection on this machine is even more compact and comprehensive.